White Pine Camp: The Saga of an Adirondack Great Camp and Summer White House by Howard Kirschenbaum. Softcover. 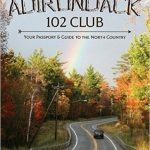 White Pine Camp is one of the Adirondack region’s prized historic places. 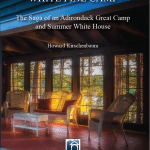 This book explores White Pine Camp’s fascinating story, including: the design and building of its unique architecture through a collaboration of architects William Massarene and Addison Mizner and master builder Ben Muncil; a parade of prominent owners throughout the 20th century; its use as the 1926 summer White House by Calvin Coolidge; its use by Paul Smith’s College over 35 years; and the inspiring historic preservation case study which brought the camp from near destruction to restoration to being open to the public for guest accommodations and historical tours. 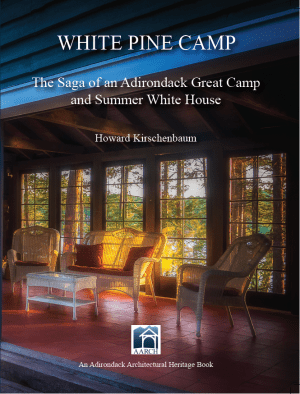 Howard Kirschenbaum was founder and first president of Adirondack Architectural Heritage, the historic preservation organization for the Adirondack Park. 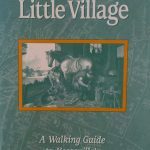 He has been instrumental in owning, managing and/or preserving Great Camps Sagamore, Uncas, White Pine, Santanoni and other historic places. 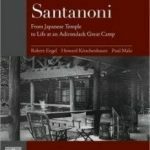 He is author or co-author of The Story of Sagamore, Santanoni: From Japanese Temple to Life at an Adirondack Great Camp, The Adirondack Guide: An Almanac of Essential Information and Assorted Trivia, and other works. 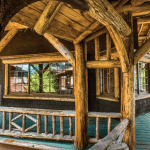 He is also winner of a life-time achievement award from the Preservation League of New York State.